A baby bump has never looked so glam. 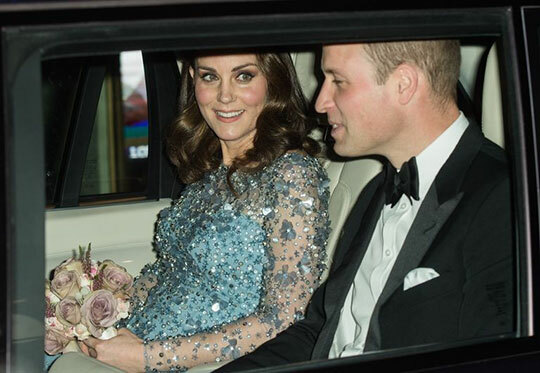 Kate Middleton shined at Friday's Royal Variety Performance in her Elsa-esque Jenny Packman gown. She arrived with Prince William at the London Palladium Theater and was just as sparkly and glittery as a princess should be. Also: A baby bump has never looked so glam—this kid is gonna grow up to be David Bowie. Calling it.